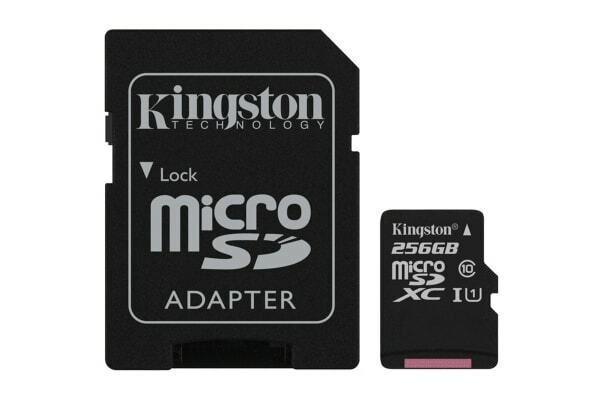 The Kingston 256GB microSDHC Canvas Select UHS-I Card with SD Adapter is designed to be reliable, making it ideal for filming in HD and shooting high-resolution photos. You can be confident that your memories will be safe when documenting life’s adventures on your Android smartphone or point-and-shoot camera. The Kingston 256GB microSDHC Canvas Select UHS-I Card with SD Adapter is tested to be durable, so you can take them anywhere with the confidence that your photos, videos and other data will be protected, even in harsh or unstable conditions.